This was very nearly a walkover – not unlike the winner’s performance in the British GT Championship. The only pretender to the crown in the voting was the Mosler MT900R: the performances from the brand new Eclipse and Cadena GTC cars were clearly appreciated by at least one member of our judging panel. The winner though was never really in doubt - only Embassy Racing’s Porsche kept it off the top step of the podium all season, and then only twice. For Scuderia Ecosse's brace of prancing horses, pole position in every race, in fact 1-2 results in qualifying and the races, were the norm all season. 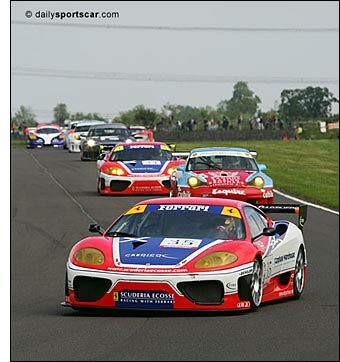 For an utterly dominant season long performance the dailysportscar.com United Kingdom Car of the Year 2005 is the Ferrari 360 GTC.